Can anyone please make a open source non-volatile FPGA board? 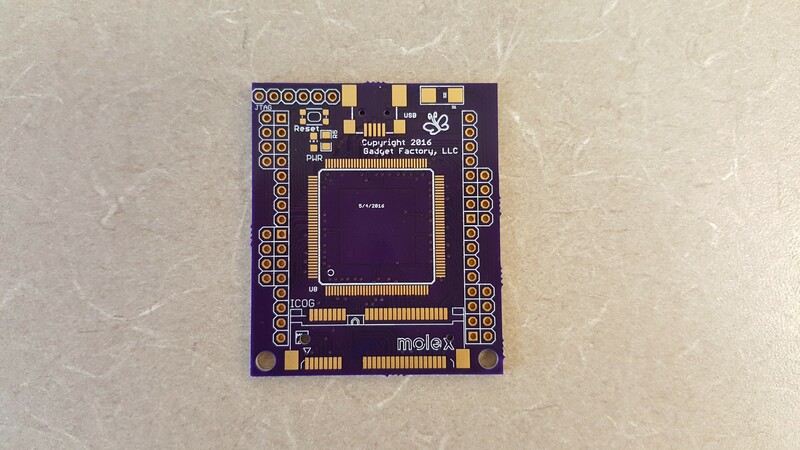 are you committing to pay someone doing the work for an open source design of such a FPGA board? That's an interesting idea!! How much would that cost approx? All I am interested in having compute modules which i can stack up +an ethernet interface for each of them to talk to fpga. non-volatile would spare extra chip but i am not sure about the speed though. If you can do that would give me your email address, i would really appreciate it, or a kickstarter campaign which would be the right idea i guess, then i would not have to pay everything by myself. In short the product is "OPEN SOURCE FPGA(GOWIN) BASED COMPUTE MODULE WITH A GIGABIT ETHERNET INTERFACE RUNNING ON lowRISC"
any idea how i can promote this idea or find someone to work with? HERE IS THE IDEA AS A REAL PRODUCT. it cost 500$, an open source version with cheap GOWIN FPGAs would make the difference. here is the video but base board supports only one module,i would need lots of modules on a base board, everyone of them connected to an ethernet jack. 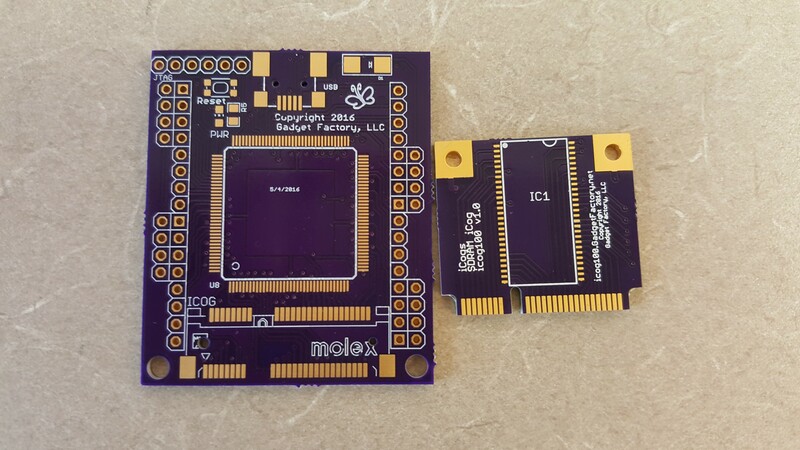 I'm working on a couple new experimental Papilio Designs that utilize a PCI Express Mini connector for SDRAM or any other high pin count and high speed peripheral. One of them is the Papilio Nano with a reduced size DIP form factor. I should be posting more information soon. @fpgadude - sorry to derail your thread. Something like that would be awesome totally. It actually has your USB Controller Wing integrated into it. I figured we would test with that and the SDRAM on the mini PCIE connector first. 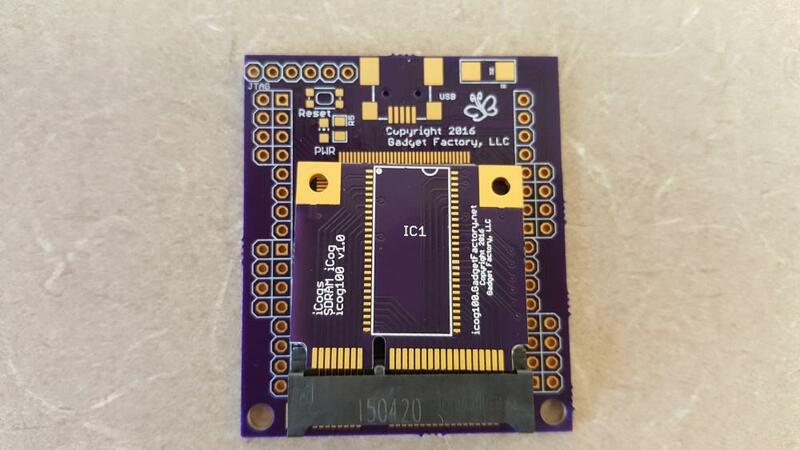 If it all works then we can make another revision with the USB 2.0 High Speed chip. I'm ordering parts now and will send you one once I build a couple of these little guys. That looks really minimalistic, and stack-able and cool. Few questions though, are the all pins available for use? Which FPGA are you gonna be using? How much would it cost with international shipping? Did you think about the price? Excuse my lack of understanding the subject but would it be able to run a small linux maybe + and ethernet shield? I don't know if it s gonna be a SoC or not. Just asking. It should be possible to run a small linux and ethernet or wifi shield on this if the memory module is added. By using a socket we will have the flexibility to add DDR SDRAM... 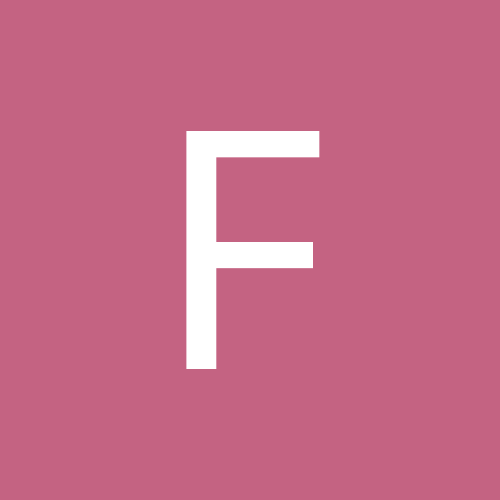 There is currently no working Papilio project for a small linux implementation, but there are some out there that should run if the time is put into it. something like the copacabana could be done with PC side software talking to multiple NANO boards. not that i would have any clue how to do it, but it certainly seems very doable. i have one of his proto USB controller wings but sadly i havent had time to play with it due to um time constraints. Never heard of copacabana (except for being a brasilian city), care to share some links ? Regarding the MTP (and SerialUSB)... much has been going on. Expect a much more mature library on next version, just fine-tuning some details. copacabana is basically an I/O board that links a ton (120x Spartan 3's) to an interface. its done in a PCI style form factor with 5-6 fpga per board plugged into the I/O board. they basically have a UI which can control the fpga's by uploading tasks. and once said task is done it gives it the next one. sort of like distributed computing // seti@home // folding@home but all in the same box. Ok, I think I fixed the last major bug in MTP transfer. I can now upload huge files (like 6MB) to Papilio [without storing the data, of course] with no transmission errors. Let me try building a standalone .bit file so people can experiment with it (and report bugs - surely many will pop up). You can have multiple storages. The main base class is abstract, so a storage can be anything you like - flash, virtual, memory, SD-card FAT, so on, so on. 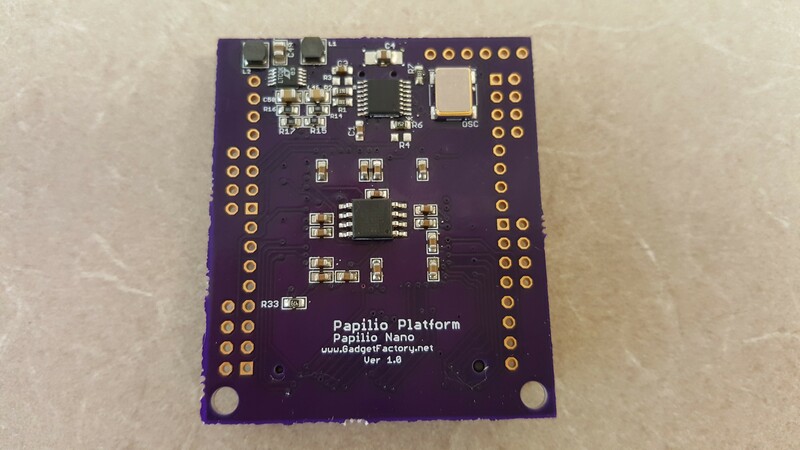 I built two Papilio Nano boards this weekend, one for both of us to test with. I also think I found a solution for the problem of how to reset the board when a USB transceiver core is not running on the board. 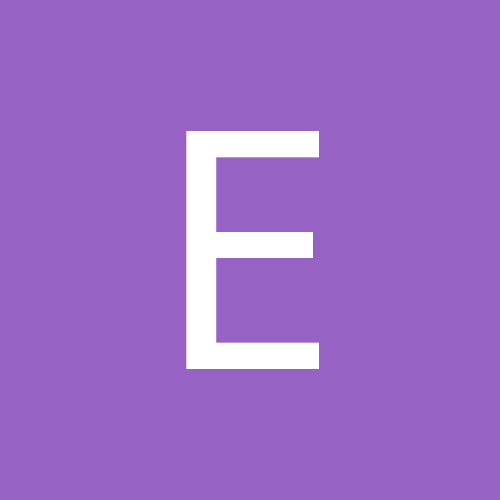 Hi...as per my experience you can built the open source volatile fpga board. 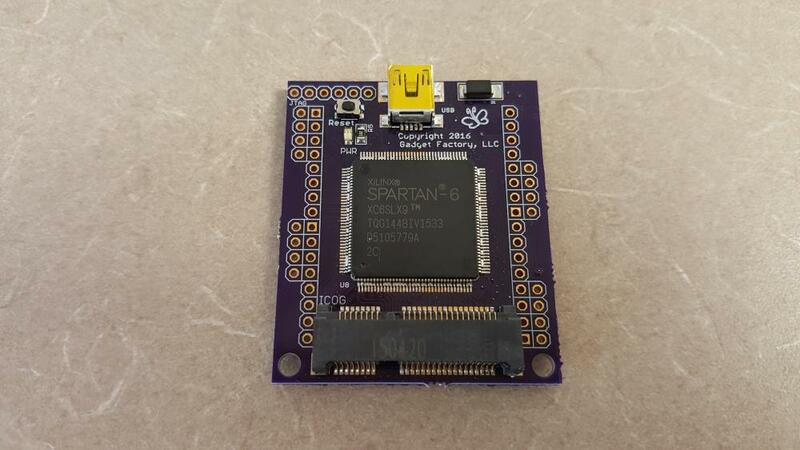 The Spartan 6 LX9 TQFP 144 is the cheapest and most readily available chip on the market.This board has 32 pins available on the Wing headers, 8-12 are reserved for USB, and the remainder go to the high speed Mini PCI Express connector for things like memory, high speed ADC, high speed USB etc. To the point where it would be a no brainer to throw this in a project and forget about it, like the Arduino. 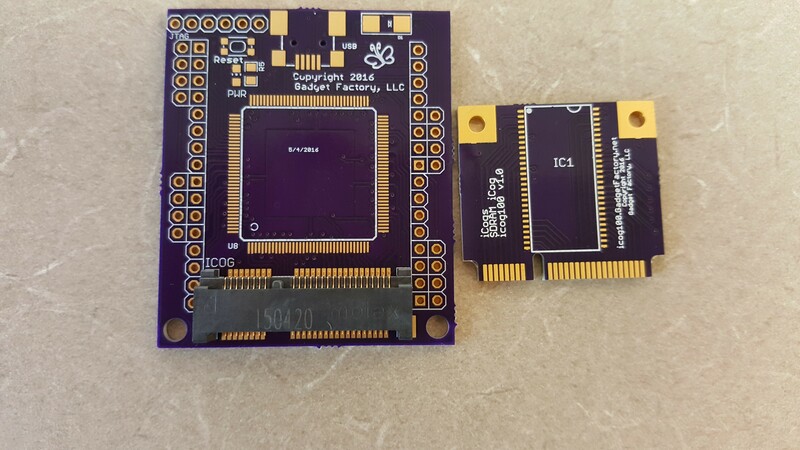 Oh, on that note, about a non-volatile FPGA board - I've also been looking at the Ice40 chips from Lattice and should be putting together a prototype board with one of those chips soon too. The goal is to take advantage of the opensource IceStorm toolchain. Working with a group of FPGA guys to see what we can come up with.